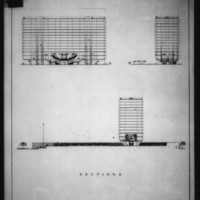 3 architectural drawings on 1 sheet, Competition entry 158, City Hall and Square Competition, Toronto, 1958, by William Hayward and Associates of the United States. Section drawings of office block with potential for expansion. This entry was a finalist. 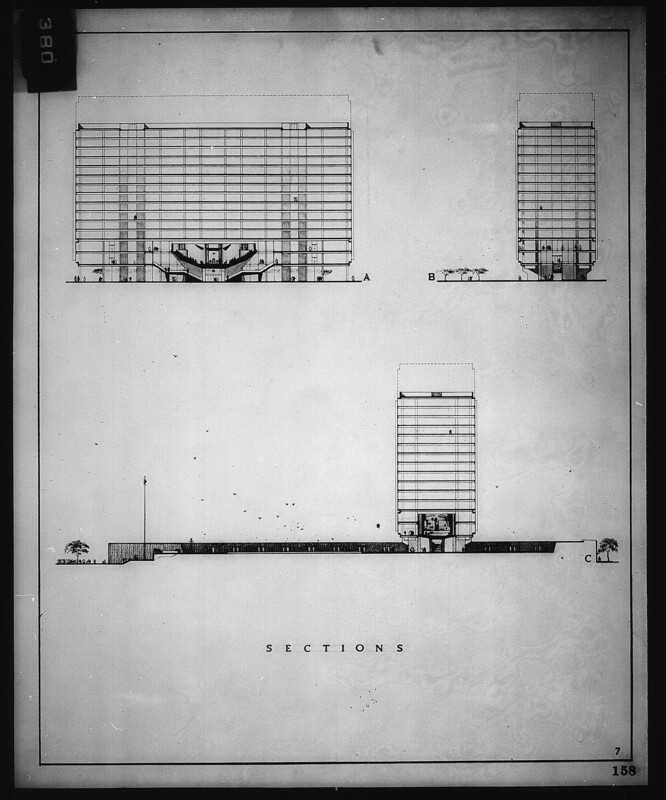 William Hayward and Associates., “William Hayward and Associates entry City Hall and Square Competition, Toronto, 1958, sections of office block,” TPL Virtual Exhibits, accessed April 19, 2019, http://omeka.tplcs.ca/virtual-exhibits/items/show/1127.